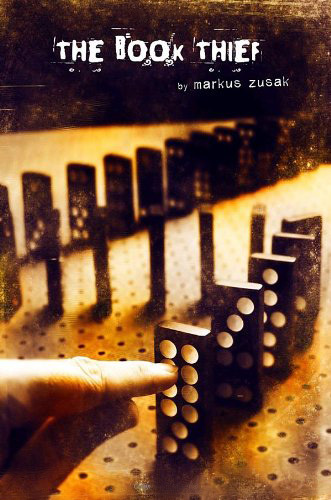 I just finished reading “The Book Thief” by Markus Zusak. Amazing book that talks about the power of words. There you have a girl (Liesel) who didn’t know how to read but her papa takes the time to teach her little by little. Soon enough Liesel falls in love with words and learning and books. She felt so much contentment and pleausure while being submerged in those. As much as lots of us do. Without words, the Führer was nothing. I think ideas, impressions and thoughts expressed through words have tremendous impact in the world. Good and bad. It all depends on what we choose to share. When we speak God’s truth and we decide to stand firm and declare His goodness and His work among us, it causes something. Things happen. Words are powerful. Specially in the hands of Our Lord. I believe we have an important weapon to fight evil in the world: our voices, our blogs, our Youtube channels, our Twitter accounts, our books. If we christians keep putting godly ideas available for others in ways they can understand an relate and we keep raising our voices against injustice even when we are hated for it… we can do something great. Sometimes, we want to be polite and not say the way we see certain things but you know what? Perhaps people in this period of history are waiting for you to say what God’s placed in your heart and inspire them. “As Christians we are tempted to make unnecessary concessions to those outside the faith. We give in too much. Now, I don’t mean that we should run the risk of making a nuisance of ourselves by witnessing at improper times, but there comes a time when we must show that we disagree. We must show our Christian colors, if we are to be true to Jesus Christ”. Perhaps that can encourage you somehow. The ideas and words God’s placed in you do matter. He will raise me up again!